The 35th annual Celebration of Music at Dartmouth took place on May 7th, 2013 at Spaulding Auditorium in the Hopkins Center Hanover, NH. Featuring guest ensemble TILT Brass, Ye Olde New Music Festival was an evening length concert premiering many new works by Dartmouth composers and performers. The concert was only one event amidst a busy week including the Dartmouth Digital Arts Exhibition (more details about this soon), a special Green Fish performance by Crystal Mooncone and a week-long hackathon at Dartmouth’s FabLab. 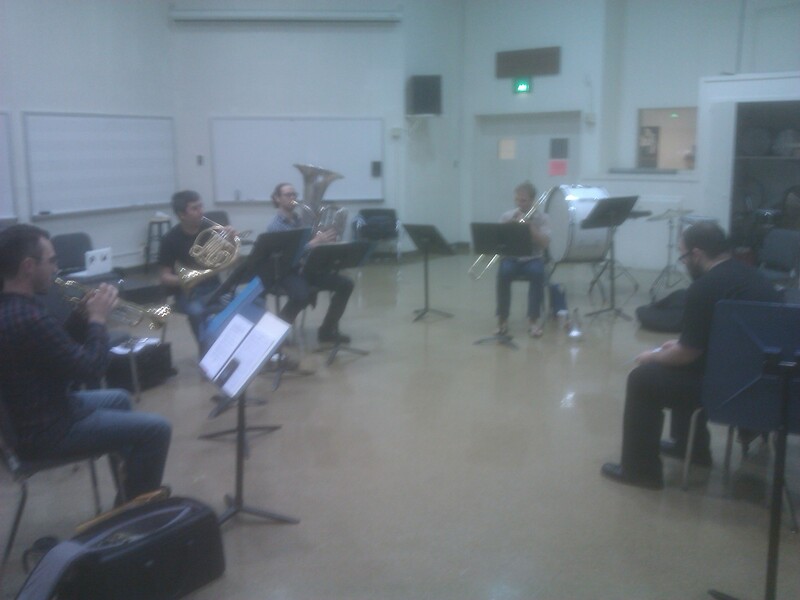 TILT Brass began their residency on Sunday reading new works by student, faculty and staff composers. 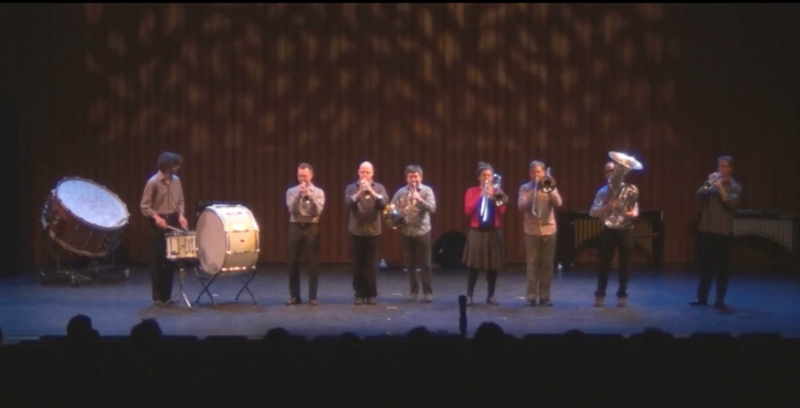 Pieces were written for the the whole line up (2 trombones, 3 trumpets, french horn, tuba and percussion) and various subsets with and without electronics. On Monday they did a reading of student works in Professor Spencer Topel‘s orchestration class. They wanted to sit down but I wouldn’t let them. Here is the program for Tuesday’s concert along with videos of John King‘s Hammerbone and their performance of my piece Unfair Tournament (erroneously named Unfair Competition in the program). TILT’s residency was by all measures a success and I am very pleased to have had the honor of working with them.